Sea levels are always changing, they always have. We can't count how many glaciers there are because the number is different every year. But the big question is if sea level rise is inceasing or, worse, accelerating. A new model may help figure out if sea levels might rise around the world throughout the 21st century and if the rate of sea level rise is currently increasing. An international team of researchers analyzed data from 10 long-term sea level monitoring stations located around the world. They looked into the future to identify the timing at which sea level accelerations might first be recognized in a significant manner. 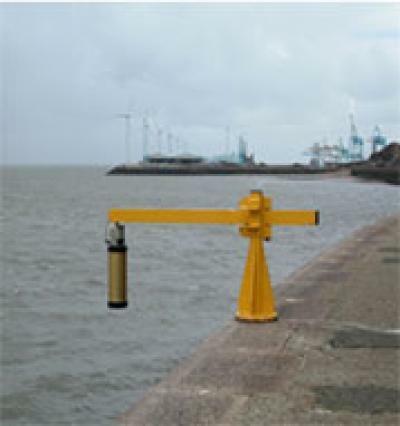 A tide guage at National Oceanography Centre in Liverpool. Lead author Dr Ivan Haigh, Lecturer in Coastal Oceanography at the University of Southampton, says, "Our results show that by 2020 to 2030, we could have some statistical certainty of what the sea level rise situation will look like for the end of the century. That means we'll know what to expect and have 70 years to plan. In a subject that has so much uncertainty, this gives us the gift of long-term planning. "As cities, including London, continue to plan for long-term solutions to sea level rise, we will be in a position to better predict the long-term situation for the UK capital and other coastal areas across the planet. Scientists should continue to update the analysis every 5 to 10 years, creating more certainty in long-term planning — and helping develop solutions for a changing planet."